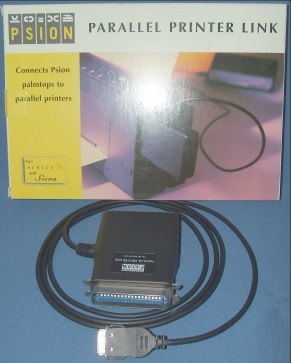 The Psion Parallel Printer Link is a Centronics compatible interface/cable that can be used with the 3c, 3mx, 5, 5mx, Series 7 and netBook Psion machines. Connects to the flat 6pin serial socket. It is a battery powered interface and combined cable that comes with a PP3 battery as standard.